Photo courtesy of Roussel Marc - TOTAL. Total proclaimed “best-in-class” production growth with a forecast 5% compound annual growth rate (CAGR) from 2017-2022, and a slightly higher 6-7% CAGR through to 2020. The top-tier oil and gas company also highlighted a downstream business that continues to deliver profitability with robust cash generation. The French multinational attributes its healthy performance to “strong discipline on costs while growing production.” The company reported USD400 million operational and capital cost savings in 2017, with a target of USD1 billion savings by 2020. Bundling contracts with major vendors has created economies of scale, with 40% of procurement now negotiated globally. The executives also credited discipline on capital investments of USD15-17 billion per year from 2018-20, and “managing portfolio counter cyclically to increase cash flow and profitability,” as central elements to ongoing performance. With operations in more than 130 countries, Total says a favourable cost environment is helpful in sanctioning new projects to prepare for future growth. Large volumes of spare capacity have created a buyers’ market and opened new supply options. A stated objective is “building a responsible energy company on core strengths and growing markets.” As part of this transition, Total will look to develop a profitable and sizeable low carbon electricity business, direct its focus to low breakeven oil projects, and continue to expand along the full gas integrated value chain. 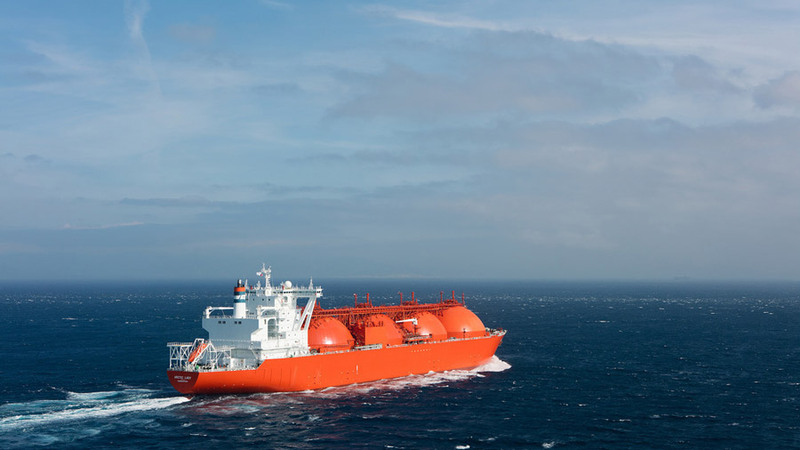 Already a market leader in a growing gas market, Total is the second biggest global LNG player with an estimated portfolio of 40 million tons/year (Mt/y) by 2020 and 10% market share. The company is eyeing opportunities in natural gas for road transportation and is looking to pioneering LNG bunker fuel for marine transportation. Photo courtesy of Zylberman LAURENT – Graphix Images – TOTAL. A 30% reduction of greenhouse gas emissions has been achieved by Total since 2010 on operated production. Moving forward, the company has announced a target to reduce the carbon intensity of energy sales by 15% from 2015 to 2030, with a further possible reduction of 25-35% by 2040 as new technologies become available. To maintain focus on environmental efforts, Total has updated its reporting structure to include a new segment called “Integrated Gas, Renewables and Power (iGRP)” and a Carbon Intensity Indicator. The 2011 investment in SunPower provided an early hedge against an increasingly fossil-free future, as it looks to develop a low carbon electricity business. By 2023, Total is targeting 15% business to consumer (B2C) market share in marketing electricity in France and Belgium, currently 6% and 9% respectively. The acquisition of French energy retailer Digital Energie in 2018 continues to expand Total’s business along the gas-electricity value chain and provides added digital expertise to build a profitable low carbon business. Digital Energie operates a low-price digital model, with only 320 employees for approximately three million customers, and an extremely efficient customer cost of acquisition of under EUR80 (USD90). Producing 2.4 Mt/y, Total is the leading biofuel distributor in Europe. Total executives highlighted the company’s strong R&D efforts in next-generation biofuels (BioTfuel) as they look to continue to decarbonise their hydrocarbon products. Total Energy Ventures, the corporate venture arm of Total, is responsible for identifying worthy start-up investment opportunities that can contribute to the company’s low carbon aspirations. The ambitious Northern Lights project in Norway, a partnership with Equinor and Shell, is targeting a carbon transportation and storage capacity of 1.5 million tons per year for phase 1, with the potential to develop commercial-scale solutions elsewhere in Europe moving forward. Outside of a heightened focus on climate change, the two executives highlighted a variety of digital initiatives to improve the efficiency of Total’s business. In the field of industrial digital, robotics is a key contributor to the company’s safety and financial improvements. Total is already employing inspection robots to detect equipment failures, autonomous underwater vehicles for pipeline inspections with no surface support. Submarine robots provide autonomous glider technology for low-cost ocean exploration, and the use of seismic drones allows high density and high-quality seismic data acquisition. The energy company says it is targeting cost reductions of 20% using robotic technology. A partnership with internet powerhouse Google aims to develop artificial intelligence capability and improve efficiency in Geoscience. Thirty experts in Sunnyvale, California, U.S.A., are working towards the goal of accelerated data treatment — to enable the redeployment of workload to high-value tasks. There is potential to expand the Google partnership to other domains, suggests Total. A Digital Innovation Center in India is part of an effort to improve the efficiency of refinery operations. A pilot project in the Donges refinery in France is looking to establish an advanced production management system by leveraging the Industrial ‘internet of things’ and cloud technology — to improve real-time monitoring, reporting and optimisation. Photo courtesy of Laurent Pascal – TOTAL. Also, in the area of industrial digital — Total cited a dedicated effort to reduce costs through collaboration and technology. 25 Smart Rooms have been deployed across the company to provide cooperative technological environments for improved access to data, swifter problem solving and troubleshooting in the areas of rotating equipment, drilling operations and metering. In the area of digital mobility, Total Wallet, a digital solution that allows customers to fill up and purchase items from their mobile, is targeting expansion to 1,000 stations in Europe by the end of 2018. The July 2018 acquisition of Lille, France-based company WayKonect, a provider of digital management tools for corporate vehicle fleets, has also boosted Total’s digitalised B2B fleet management offering. WayKonect provides proactive vehicle management and innovative auditing tools that include the ability to evaluate and optimise CO2 emissions for individual vehicles in a fleet. In a joint initiative with nine major energy companies, Total’s Strategy & Outlook outlined the use of blockchain technology to improve trading efficiency, citing an initial -20% trading cost gain. The company also believes the technology could provide additional opportunities in CO2 tracking and customer data management.